The Miramontes designs are bold, simple, and combine very old and new materials to create classic and unique designs. 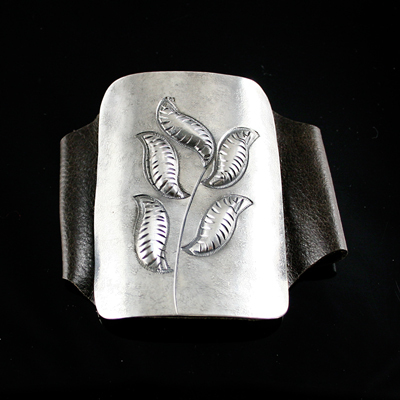 In our inception, we were inspired by Mexican silverwork and its influence on Native American silverwork. Many of the techniques for early Navajo silverwork were learned from Mexican silversmiths. We have studied how centuries-old sophisticated silverwork carried out in Mexico was based on Old World traditions; after all they came from Spain. One can make a case for the Pomegranate as an ancient fertility symbol, used widely in Spain, and then in the New World to become the basis for the ubiquitous squash blossom of Southwestern designs. Likewise the concha (shell) and the scalloped rosettes can be traced to Spanish rosettes. These conchas grew to become belts and horse ornaments, and now are found in ceremonial dress of many Native tribes. It was also in Mexico that silversmiths in Taxco began to incorporate stones and elements of pre-Columbian design. This silverwork became popular and was promoted by Freida Kahlo, Diego Rivera, William Spratling, and many others. The designs of Mezzo-America, in fact, reach back centuries and examples can be found in the gold work of ancient peoples in the gold museum in Bogota, Colombia. Our inverted fan pendants were inspired by ancient stone carvings of women wearing pectoral adornments. We use very old and standard silver working techniques. Our work, done by hand, introduces the use of an anvil and hammer as standard and desirable. We find very old and ancient beads and combine them with modern ones. As the Navajo did, we use coins often. We use old and simplified symbols in our work such as in the River series. We combine the high-contrast silver overlay method, made so popular by Hopi silversmiths, with old symbols to create our Miramontes River series. 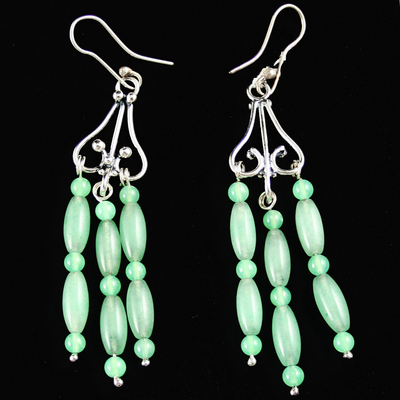 It is our hope that the Miramontes designs will resonate with you. 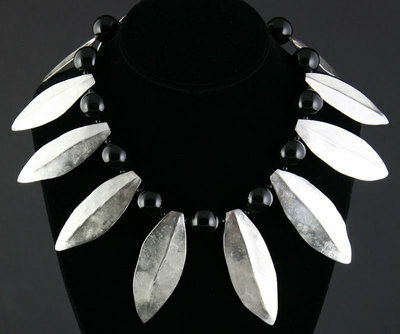 We personally strive to transcend not only to be silversmiths, but to be artists. 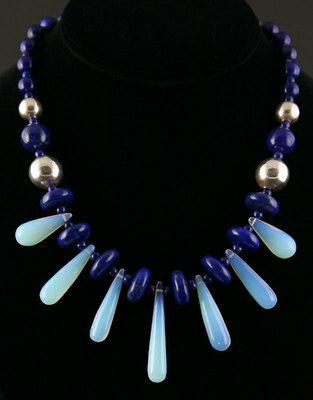 Our work is not merely jewelry, but wearable art. We would like acknowledge Kathleen and Mark Sublette, who have represented us for the past 15 years. Their quiet and unwavering support, has allowed us to continue growing. We thank you for choosing our designs, and our wish is for you to walk in beauty.